Friends: January is the time to plan your garden for this year, and here are a few ideas to get you started. Lay out your garden plot on paper, and write in the crops that your family loves and will eat. Organize a spot to start seedlings, either in your basement or another room in the house using a heat source in order to assure that your seedling soil maintains temperatures between 70 & 85 degrees, and after emergence use good Grow-Lights at least 16 hours per day. We grow in sawdust & sand in a ratio of 2 to 1, using the balanced Mittleider natural mineral nutrients. 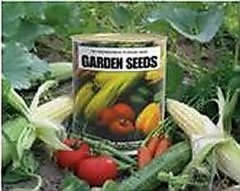 Constant Feed (1 oz Weekly Feed to 3 gallons of water) is used on seedlings until they are transplanted into the garden. Start with greens of several kinds. And train yourself to pick outer leaves and eat them regularly, even daily! Red-leaf and Romaine lettuce are my choices, and if you keep them picked, watered, and fed you can eat these several times per week for months! Beets are one of the healthiest and best things to grow, with the leaves picked 2-3 leaves each week from each plant after the first 30 days. They are tasty either raw or cooked, and eaten by themselves, in soups, stews, in smoothies, or salads. The same is true for turnips, and even sugar beets are good, although they grow to be very large plants when outside and in the sun. We've been harvesting beets, sugar beets, turnips, and Swiss chard for many months from our garden. Don't plant too much of any one crop, especially the single-crop varieties. With ever-bearing crops you can grow quite a few plants, because the fruit matures over a long harvest season (remember that greens effectively do the same if you pick and eat the outer leaves every few days). Plan to grow vining crops vertically, and to the North or East in your garden, so that the tall plants do not shade your shorter varieties. We love an heirloom called Siberian Rose, and hybrids Big Beef and Better Boy, as well as Grape, and Sun Sugar (cherry-size). You need to refer to the Garden Planting Details Schedule to see when to plant everything. And planting dates depend on your Average Date of Last Frost (ADLF), so make sure you know when that is by checking with your County Ag Agent or looking online. Happy Planning & may you have a great garden this year! This entry was posted on 9:16 PM You can follow any responses to this entry through the RSS 2.0 feed. You can leave a response, or trackback from your own site.